When you learn that you have diabetes, it can be an overwhelmingly frightening realization. You know that your life is going to change and that you can suffer some serious health risks if you do not alter your lifestyle. You are willing to make the change, but you do not know everything that it is going to entail. That uncertainty is what is breeding the fear in you and causing it to grow. Instead of living in that fear, you need to take charge of your life and start learning how to make those changes that your body needs! Make sure that you spend plenty of time talking to your doctor and the other health professionals at the clinic. The doctor will be able to let you know what types of changes you are going to have to make, and he or she will often supply a free diabetes diet plan that will help. If you have any questions about the diet plan they give you, make sure you ask questions until you understand all of the changes you need to make. When it comes to your health, there is no such thing as asking too many questions! Once you have the diet plan from your doctor, you might believe that the days of eating enjoyable foods are in the past. That's not the case though. The plan that the doctor gives you is going to be a great guideline that you can use to create menus that still have taste and interest. Quite a few sites on the web today offer recipes specifically for those who have diabetes. You should take the time to explore some of these recipes and try them. You will be able to create your own free diabetes diet plan from the information you find. Of course, not everything that you read on the web is accurate, and you will still want to run your new recipes and diet past a doctor or other specialist. He or she will be able to let you know if it is something that you should be eating on your new diet. In many cases, your doctor will refer you to a registered dietician who will be able to help you with even more ideas for your diet. 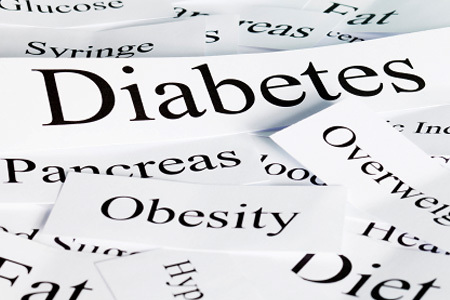 The American Diabetes Association is another great source for learning more about the disease. You need to make sure that you control your glucose intake, and you need to control the fats and lipids in your diet. Thus, you need to limit the salty and sweet foods that you eat. Adding exercise under the guidance of a physician will help you control your diabetes as well. You should try to eat the same amount of food each day and try to eat at the same times to regulate your body. Always check your blood sugar and take your medicines on time. While diabetes is not fun by any means, you can control your problem and create a diet plan that will help improve your health.